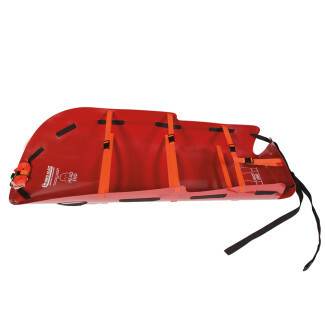 The 48″ Sled is 12″ wider than our standard 36″ Sled to accommodate larger girth evacuees up to 1000 pounds. 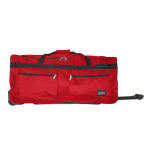 Designed to allow anyone to transport evacuees up to 3 times their own weight. 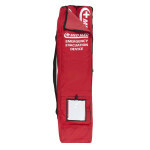 The larger sled holds the occupant and any required equipment for the occupant. Med Sled® is made out of a very high density plastic that allows it to be dragged over debris with minimal to no damage. Along with being easy to use and maneuver through hallways, we have designed the sled to be able to lower safely down stairs for evacuation of multiple floored buildings. The braking system is included on the every sled and allows for controlled descent down the stairs. More than 3,500 facilities have chosen and deployed over 50,000 sleds across the United States. The Med Sled® device has been disaster proven with uses in Joplin after an EF5 Tornado and New York during Super Storm Sandy. 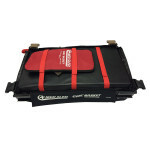 The beauty of the Med Sled® is that it uses the ‘roll and drag’ method, which ensures heavy lifting is not required. Anyone can use this product with a minimal amount of training and size is immaterial. 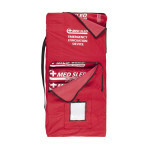 The design of the Med Sled® allows for anyone to transport up to 2-3 times their weight.